Maximilien is the youngest Air France “Platinum for Life” member. Based in Ho Chi Minh City, he tells us about the Vietnam he knows, a frenetic country full of traditions. Since the age of two, Maximilien has lived with his family between Paris and Ho Chi Minh City. Today, aged 16, he has become the youngest member of the Air France “Platinum for Life” programme thanks to his countless journeys between Europe and Asia. We met up with him so that he could share his view of the Vietnamese city. Continually travelling back and forth between the two continents, the young man has learned to observe his adopted country with a very particular eye. In this “magnificent, exotic and warm” country, as he likes to describe it, the crowd starts to buzz from six in the morning. At the historic market of Bến Thành, in the early hours, aromas blend harmoniously from the 6,000 or so stands. During his holidays, the student fancies wandering about, immersing himself in the local culture. From stall to stall, Maximilien discovers local fruits and vegetables and admires the know-how of Vietnamese craftspeople. On one booth, a rattan basket maker plies his trade. On another, a chopstick artist perfects her creations. The place comes alive at sunrise with locals mingling about, shouting and chatting friendlily to each other. A student at the city's French high school, Maximilien just loves his sport. Cycling and tennis are two of his favourite activities which he does with his friends every day. For visitors, he recommends exploring the Củ Chi tunnels, to the north of Ho Chi Minh City. This vast network of underground cavities, built during the Vietnam War, gives an insight into the conditions soldiers had to live in during those times. Prepare yourself for an emotional and chilling experience as you tread through the dark corridors, still alive with the memories of the country's tumultuous past. In the north of the country lies one of Maximilien's favourite places: the village of Hội An. This UNESCO World Heritage Site is a melting-pot of Chinese, French and even Japanese architectures, much to the delight of the teenager who just adores its colourful facades. He enjoys exploring the river banks where boats jostle for position, before heading off to the beach and the lush-green surroundings of the village. Gazing out over these romantic landscapes, Maximilien finds himself thinking about Paris, so very far away. Sometimes, he misses the cultural life of the French capital with its wealth of museums, theatres and exhibitions. 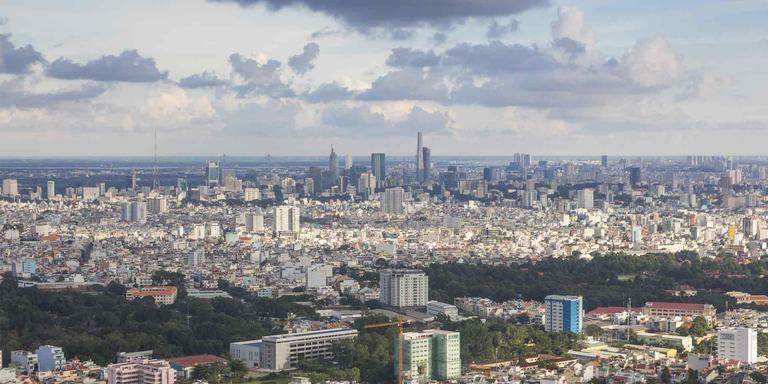 In Ho Chi Minh City, Maximilien enjoys mixing with other city folk and grab something to eat on the go. The classic pho, a noodle soup with chicken and soya, is best enjoyed on the streets in the middle of the thronging crowds. Somewhere down the road, local music blares out from a stereo; this is tân nhac, a mix of Western rock and traditional Vietnamese songs. It is a strange musical fusion that fascinates the French youngster. In front of him, he has watched the Landmark 81 tower edge skywards a little more every day. At over 460 metres high, the building is now the tallest in the country. It is a feat that fills Maximilien with wonder.